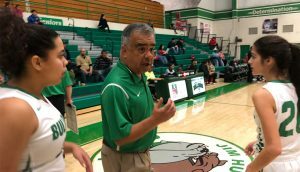 Two girls basketball teams suffered their first losses of the year, one coach reached a milestone while another is close to a major mark. Here are some other news and notes from the week in high school sports. 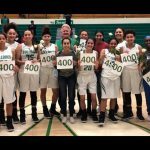 Longtime Albuquerque High School girls basketball coach Doug Dorame picked up his 400thcareer win Wednesday night with a victory over Rio Grande. Hope Christian boys basketball coach Jim Murphy needs two more victories to reach the 800 win plateau. The Huskies are at Valley tonight. Ralph Tasker holds the New Mexico high school record with 1,122 wins. The West Mesa girls basketball team dropped from the ranks of the unbeaten after suffering their first loss on Saturday, losing at Piedra Vista 68-55. Previously unbeaten Robertson also lost on Saturday, falling to Tucumcari in overtime 39-36. There are no longer any unbeaten girls basketball teams in New Mexico. Las Cruces is the only boys team with a perfect record. The Bulldogs are 20-0 after beating Mayfield this week. Las Cruces will take on Gadsden Friday night. 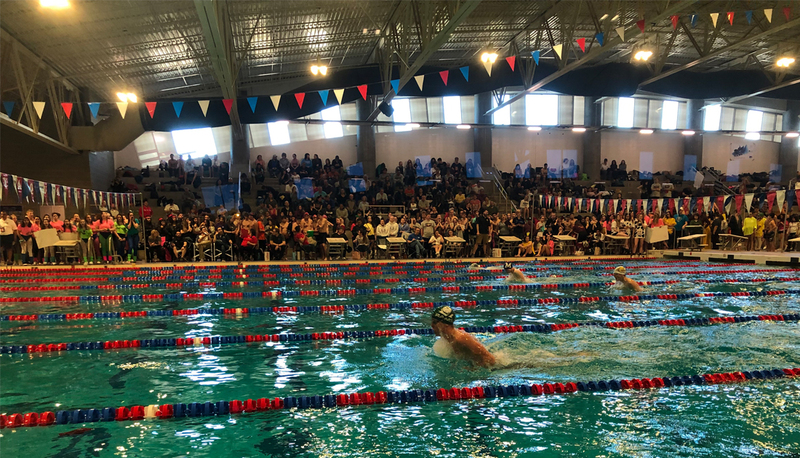 The La Cueva boys swim team won the Metro Championships last weekend. Their victory followed the La Cueva girls’ win, who dominated in the pool the week prior. 6 meet records were broken at the Boys Swimming Metro Championships, two by La Cueva senior Jack Hoagland who is headed to Notre Dame. Here are the new records with the swimmers and new marks; 200yd Individual Medley: Jack Hoagland, La Cueva 1:48.10, 50yd Freestyle: Max Hawton, Sandia 20.74, Diving: Isaac Newman, Eldorado 550.50, 500yd Freestyle: Jack Hoagland, La Cueva 4:30.26, 100yd Backstroke: Max Hawton, Sandia 50.44, 100yd Breaststroke: Pierce Holler, Albuquerque 57.45. La Cueva’s Fred Mady III announced he accepted an offer to play football at Fort Lewis College up in Durango, CO.
La Cueva’s Blaine Smith announced his intention to play football at New Mexico Military Institute in Roswell. Goddard High School senior quarterback Dalton Bowles will remain close to home and continue his football career at NMMI as well. Rio Rancho baseball player Clayton Kempski verbally committed to play baseball at New Mexico State University. Cleveland High School’s Roy Jennings also announced he committed to play baseball at New Mexico State. Last week, Oklahoma State head football coach Mike Gundy stopped by Carlsbad High School to check in on lineman Taylor Miterko. The senior lineman signed a National Letter of Intent with OSU. Former Albuquerque Academy standout and current Houston Astros All-Star third baseman Alex Bregman will be on the cover of this year’s R.B.I. Baseball 19video game. It will be available this March. The Albuquerque Metro Wrestling Championships begin on Friday at Atrisco Heritage High School. Cleveland is the defending champ in this event.